Carnaval is without a doubt one of the biggest celebrations in the Netherlands, especially in the southern provinces. Dressing yourself as somebody else is one of the crucial ingredients of Carnaval and sports outfits were regularly seen. We selected the best ones. 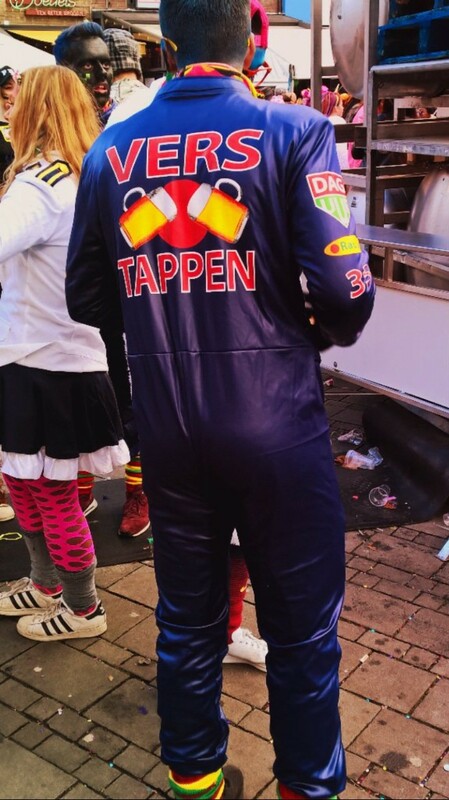 Max Verstappen had a great season in the Formula 1, so it's not a big surprise that many Dutch people wanted to be just like him this Carnaval. Or would it all be because of his 'beer related' name? Besides Max, there is one other athlete Dutch fans easily link to alcohol, after the Olympic Games in Rio. Would you know who it is? Dutch journalist Edwin Cornelissen went on a hunt for new sports talent. Are these two the new synchronized swimming stars heading to Tokyo 2020? Who knows..
Carnaval can also be used to change sports for once, as these handball players succesfully did. Sports have no borders, so many different international costumes found their way to Netherlands this year, bringing the words 'All Stars' to a whole new level! Have we missed any exciting sports Carnaval pictures and videos? Share them with us and we will add them to the blog!